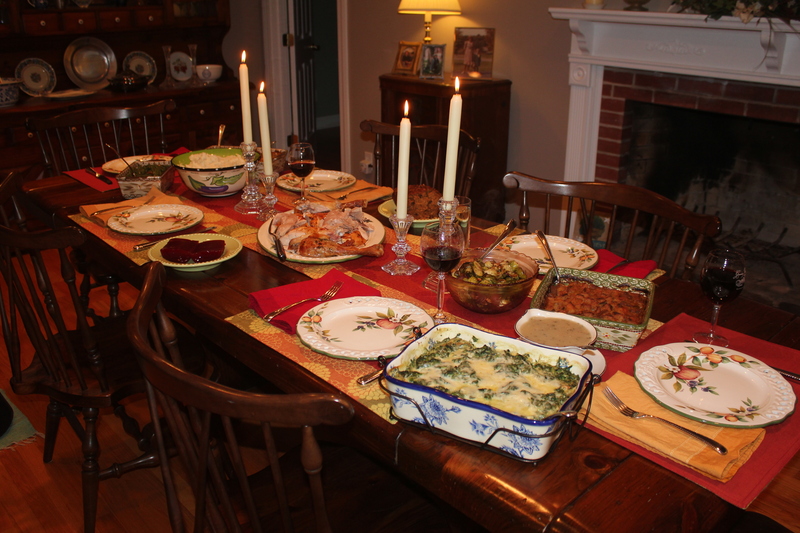 This past Thanksgiving was a very special one for me because it was the first holiday that SensitiveHusband and I hosted, and the menu was free from yeasts and refined sugars. My family members were so kind by making sure that the foods they brought did not contain those sensitive foods, which resulted in one of the most delicious dinners! Plus the love and camaraderie around the table made for a very enjoyable holiday. The picture shows all of the wonderful dishes at our meal, and below lists the menu. Over the next few blog posts, I will share the recipes with you in case you would like to incorporate one or all of the foods at your next holiday celebration meal. Is reading the menu making you hungry? I know that I could use a snack right now! Place potatoes in a saucepan and cover with water. Bring water to a boil, and cook for 20-25 minutes or until very tender. Add the cauliflower to the potatoes when there is about 10 minutes left so they can also cook. Drain well. Add cauliflower, butter, sour cream, garlic powder, salt and pepper. Start to mash, then add about 1/2 cup milk and mash until desired consistency. You may want to add another 1/2 cup milk, depending on how much moisture is in the cauliflower. The 1 cup milk total will create a consistency that is a little chunky; add another 1/2 cup milk (1 1/2 cups total) for a smoother consistency. If you wish, sprinkle a bit of paprika on top for a festive finish. I am sharing this recipe with Simply Sugar and Gluten Free, Miz Helen’s Country Cottage, Food Trip Friday and Cybele Pascal Allergen Free Cuisine. This entry was posted in Recipes - Dessert, Recipes - Entrees, Recipes - Vegetables and tagged Cane sugar free, Cauliflower, Holiday menu, Mashed potatoes, Onion free, Yeast free. Bookmark the permalink. What a great side dish, or just by itself. I look forward to trying this recipe. Hope you are having a great week and thanks so much for sharing with Full Plate Thursday. What a feast that is 🙂 delicious foods plus great companies= memorable time 🙂 Thank you also for sharing the recipe 🙂 Visiting for FTF, hope that you cab return the favor too. I have a question/comment about the mashed potatoes and cauliflower recipe. First, the question…the recipe doesn’t specify when and how long to cook the cauliflower and do you use the stems or just the florets? Second, the comment…I did make the recipe for Christmas this is what I did…I followed your instructions but I peeled and diced 4 turnips and added them to the potatoes. Then when there was only about 10 mins left I added the florets only to the potato and turnip pot. They turned out great. Thanks for the idea. Hi, Bree. Thanks for the question. Add the cauliflower florets to the potatoes so they cook for about 10 minutes. And thanks for your comment – the addition of turnip sounds tasty and a great way to add more vegetables to this dish! from 5 year old Jessica – i liked the mashed potatoes! I am so glad that you enjoyed them! They are tasty!